Barcelona, with its tasty food, nightlife, city beaches and unique Gaudi-built architecture is an exciting and colourful city to explore. However, with so much to keep visitors occupied costs can build up quickly. Here are my tips on how to save money while enjoying the best Barcelona has to offer. Like most large European cities, Barcelona has an extensive and reliable public transport system. Buy a T10 ticket for less than €10 and you can take 10 trips on the metro or bus. Not only is it simpler than paying individual fares, as long as you take 10 trips, it is cheaper. If you plan to visit other nearby towns or areas it is also cheaper to take the train than book expensive tours through travel agents. One of the biggest dents in a traveller's budget is often accommodation. There is a trend at the moment to rent holiday apartments. Depending on the number of people staying and the length of stay these holiday rentals can work out cheaper than per night accommodation prices. They also usually have kitchen facilities, which means you can save money by making light meals yourself. Eating well is a great pleasure for the Spanish and with such treats available as Iberian Ham, Manchego cheese, a plethora of tapas, sangria and churros con chocolate, it is not something visitors should miss. The best way to eat inexpensively in Barcelona is to look out for set menus at lunchtime. These three-course ‘menu del dia’ will fill you up for around €15, which is considerably cheaper than eating a large evening meal. If you are hungry again later go to a bar that offers free tapas to bar customers. It is also cheaper to keep to small restaurants off the main streets. If you enjoy a drink in the evening small bars in quieter locations will offer the best prices. If you are happy to buy a beer on the street and sit in a town square people watching, that is cheaper still. Many of Barcelona’s museums and galleries offer free entry on specified nights or discounts on certain days. Check the establishment’s website before you visit to take advantage of the best offers. Students should ensure they can present their student card to enter at discounted prices. 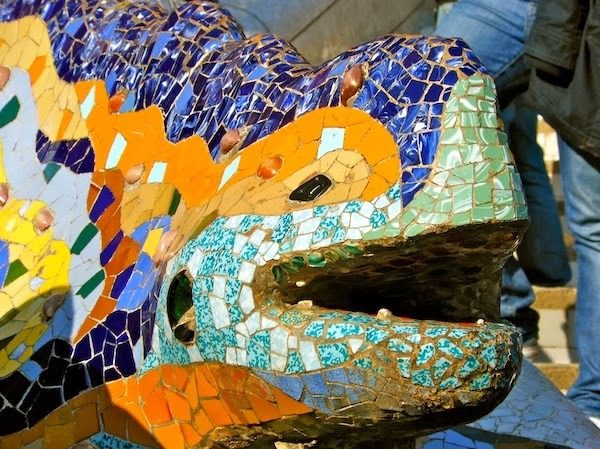 If you plan to visit a lot of museums and galleries purchasing a ‘Barcelona Card’ can also bring savings. Keep to markets and street stalls for the best shopping prices but if you do go into shops don’t assume that marked prices are the final prices items will sell for. If you ask politely, shopkeepers will often bargain on prices, especially those of souvenirs. Generally speaking, the more items you can see for sale, the more likely the shopkeeper is to bargain. If your travel experience is all about hitting the town on nights out Barcelona is a great destination. The Spanish are late-night people and Barcelona’s streets buzz in the evenings. Nightclub cover charges often include the first drink, but to avoid paying any entry fee at all simply arrive before 11.30pm, which is still pretty early by Spanish standards). Much of the life in Barcelona can be found down the streets of the cities districts. Exploring El Gotico, El Born, Eixample and other areas on foot is the best way to take it all in, and of course, is free. The heart and soul of Barcelona to some, a tourist trap to others, Las Ramblas is a long, and busy, avenue showcasing Barcelona’s love of life. From bars and cafes to street performers and trades people operating mini market stalls, Las Ramblas has plenty to keep the casual observer occupied and is definitely worth enjoying a stroll along. For inexpensive replenishments dive off down a side street and keep an eye on your bag as pickpockets pounce on those distracted by the sights. When you need to chill out and recover from everything else you have been up to in Barcelona head for the city’s marvelous sandy beaches. Barcelonata is the most popular but on a sunny day you can guarantee all of the beaches will be busy. Relax and enjoy them but beware that Barcelona’s petty thieves operate a lively trade on them too. Have you been to Barcelona? Can you think of any other money saving tips? Please share them in the comments section below.